Who Viewed This Also Viewed Magento 2 extension shows mostly viewed products on product page to customers. It will help them to make purchase decision easy by displaying who viewed this product, also viewed these products. 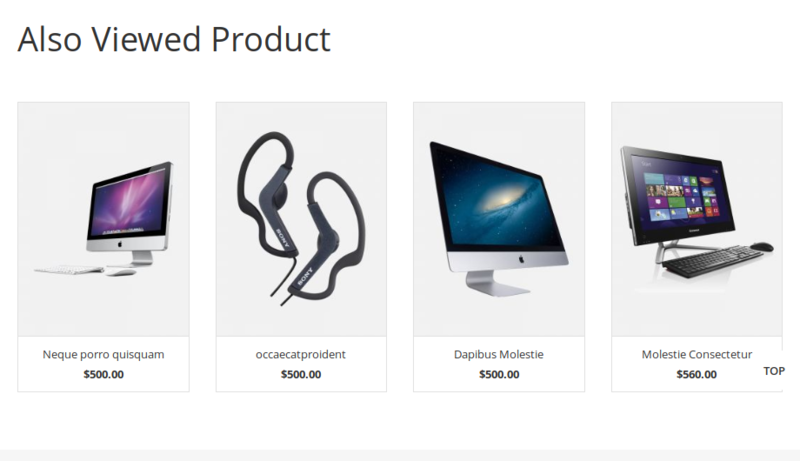 This premium Magento 2 extension display customers who viewed this product, also viewed these products. Customers are much more likely to make a purchase decision when they see what other customers have considered. If it’s good enough for his/her, then it’s good enough for me. This is an extremely powerful way of increasing conversion rates and average $’s per sale. Cross-selling interface is used by many of the top e-commerce sites and customers will be more informed and more confident in their purchase, immediately increasing sales. Manual Cross selling is generally ineffective but don’t worry our extension bases cross selling on actual customer behavior. Everytime the client is looking for the product, module update relations between this and other viewed products. Day after day relations count are grows and they become more accurate. Ability to enable/disable extension from backend. Suggest your site visitors with products which were mostly explored by other customers. Set customized with the heading of your own choice. 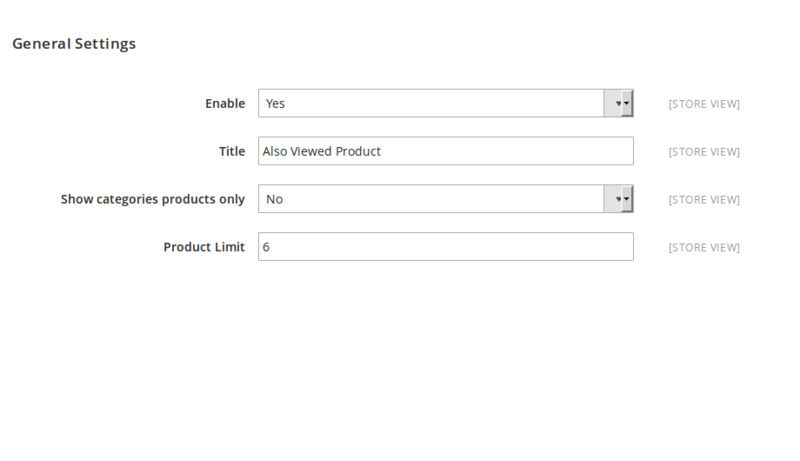 You can limit the number of products that will be displayed in a block. Get high processing speed when customers scroll through products or add them to cart. Provides fully customizable interface for from backend that is easily manageable. Download the Who Viewed This Also Viewed extension .ZIP file from solwininfotech.com using your Solwin Infotech website account. If you are using Magento 2.0.x then you need to extract solwin-alsoviewed-m2-2.0.x.zip file. If you are using Magento 2.1.x then you need to extract solwin-alsoviewed-m2-2.1.x.zip file. If you are using Magento 2.2.x then you need to extract solwin-alsoviewed-m2-2.2.x.zip file. If you are using Magento 2.3.x then you need to extract solwin-alsoviewed-m2-2.3.x.zip file. If you are using Magento 2.1.x then you need to extract solwin-alsoviewed-m2-EE-2.1.x.zip file. If you are using Magento 2.2.x then you need to extract solwin-alsoviewed-m2-EE-2.2.x.zip file. Now, you can see the Solwin menu in admin panel. Please go to Solwin -> Who Viewed This Also Viewed -> Configuration and select Enable to Yes.